HONOLULU — Hawaii Gov. David Ige fought off five challengers, including Rep. Colleen Hanabusa, in the Aug. 11 Democratic primary and is expected to win re-election in the November general election. With 100 percent of precincts reporting, Ige had 124,528 votes (51 percent), followed by Hanabusa (107,583, 44 percent), Ernest Caravalho (5,659, 2 percent), Wendell Ka’ehu’ae’a (2,293, 0 percent), Richard Kim (1,575, 0 percent), and Van Tanabe (775, 0 percent). 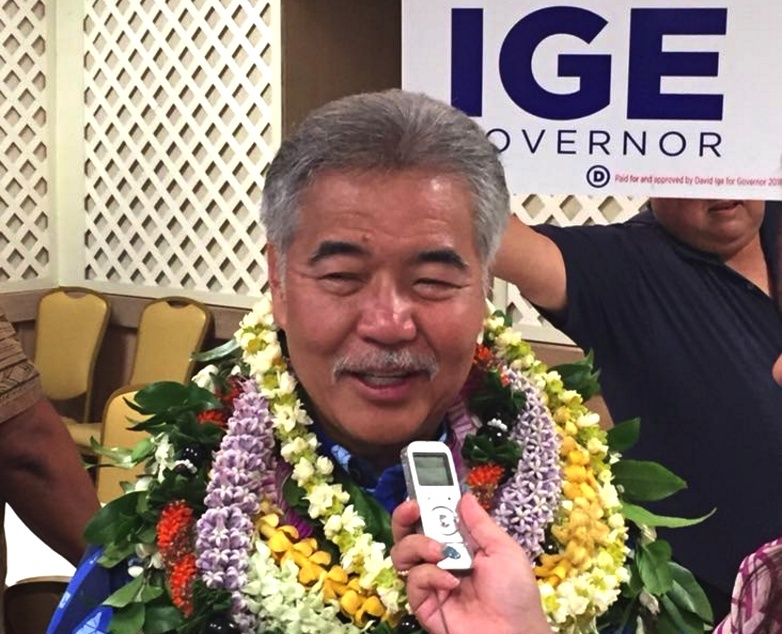 Hanabusa, who represents the 1st Congressional District (City and County of Honolulu), had hoped to repeat what Ige did in the 2014 Democratic primary — unseat an incumbent governor. After defeating Gov. Neil Abercrombie, Ige, a former state representative and senator, won the general election. Ige’s popularity took a hit in January over his handling of the false alarm in which the emergency notification system told Hawaii residents that a missile was headed for the islands. Hanabusa questioned his competence and was ahead of him in the polls, but he regained his footing during two new crises — severe flooding on Kauai in April and the ongoing eruption of Kilauea on the Big Island. “I just got off the phone with Congresswoman Colleen Hanabusa, and she wished us congratulations and more importantly, she pledged her support to make sure that we can elect a Democratic governor,” Ige told supporters on election night. 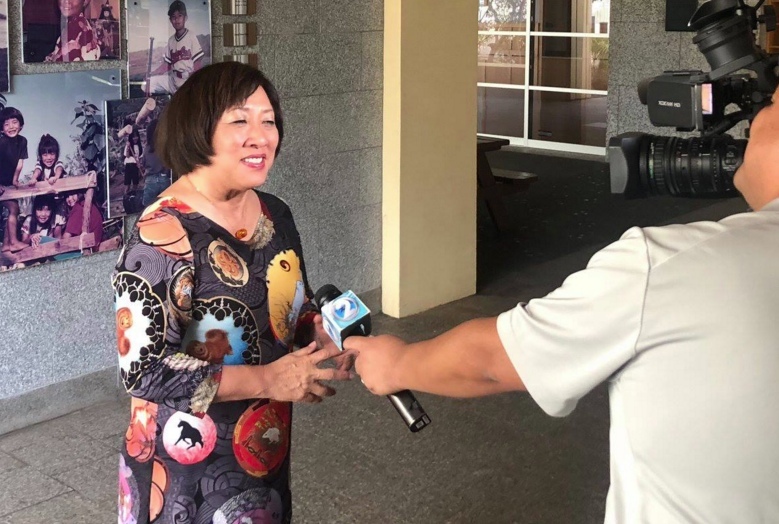 Rep. Colleen Hanabusa is interviewed the day before the election. Ige’s Republican challenger will be State Rep. Andria Tupola, who placed first in her party’s primary with 17,282 votes (55.5 percent), followed by John Carroll (10,969, 25.2 percent) and Ray Lheureux (2,883, 9.3 percent). Hanabusa gave up her congressional seat in order to run for governor. She assumed office in 2016 after winning a special election to succeed the late Rep. Mark Takai. Hanabusa previously represented the same seat from 2011 to 2015, giving it up to challenge Sen. Brian Schatz — who had been appointed to replace the late Sen. Daniel Inouye — in the 2014 Democratic primary.